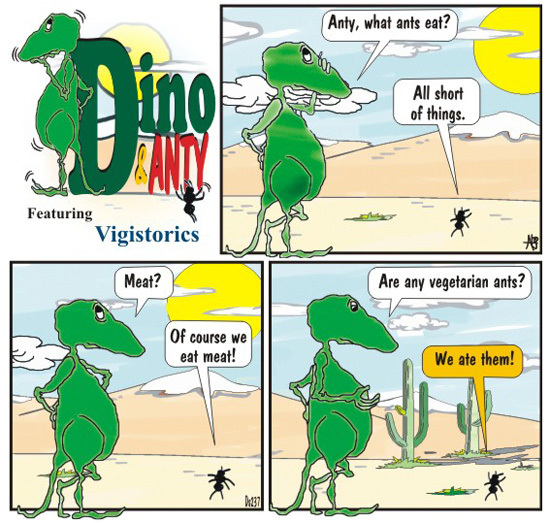 Have the Veggie Dino and the Carnivorous Ant heard of their Neighborly Omniverous Venus Fly-Trap ? Their eventual meet-'n'greet could be verrry interesting. The Fly-Trap thoroughly enjoys ingesting and digesting Vegetarians and Carnivores alike.